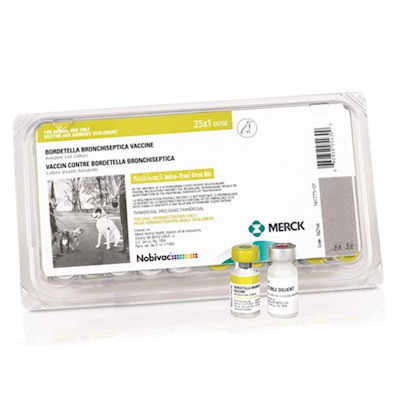 Nobivac Canine Intra-Trac Oral Bb (Merck) aids in the control of canine infectious tracheobronchitis (Kennel Cough) due to Bordetella Bronchiseptica. It is recommended for use in healthy puppies 7 weeks of age or older. After reconstituting administer 1ml dose orally between cheek and gums (buccal cavity).